Not all fats are created equal since some produce artery-clogging effects while others help maintain necessary body functions. "Bad" fats, such as trans fat and saturated fat, have been linked to high cholesterol levels and heart problems, whereas "good" fats, such as monounsaturated and polyunsaturated fats, can lower the risk of coronary disease and offer anti-inflammatory benefits, according to Help Guide. 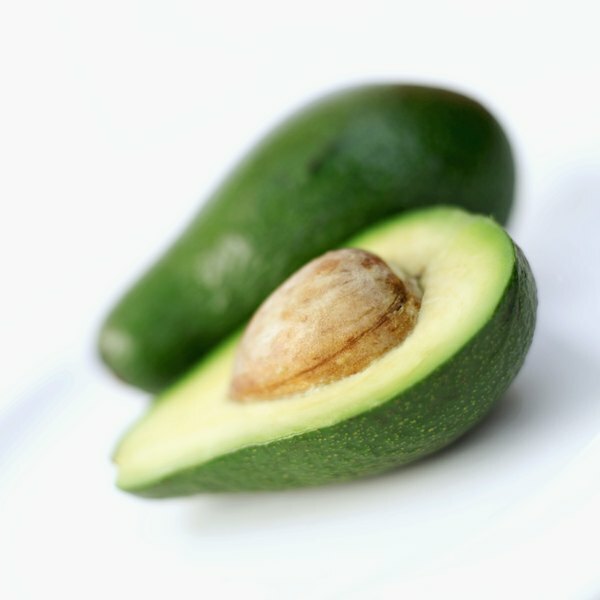 Avocados are a fruit rich in monounsaturated fat, a "good" fat that helps protect against heart disease, according to Oprah.com. Monounsaturated fats are found mainly in plant foods such as oils, nuts and seeds. Avocados are also high in beta-sitosterol, which helps lower blood cholesterol levels. Nuts -- including almonds, cashews, macadamia nuts -- contain polyunsaturated fats, as well as other nutrients -- including fiber -- that benefit your health. According to research performed at Harvard School of Public Health, the benefits of eating fish high in omega-3 fatty acids outweigh the risks of consuming mercury or other toxins in fish. Omega-3 fatty acids help increase the "good" HDL cholesterol and reduce the "bad" LDL cholesterol, as well as lower triglyceride levels, thus lowering the risk of cardiovascular disease. Omega-3 fatty acids also help reduce inflammation. Omega 3 fatty acids also offer beauty benefits by adding shine to hair and helping skin retain its elasticity. Fish that are rich in omega-3 fatty acids include salmon, mackerel, sardines and herring. Flaxseed, as well as some other seeds -- such as chia -- also contain omega-3 fatty acids. Vegetable oils are made up of healthy unsaturated fats. One especially healthful type is olive oil, an oil rich in monounsaturated fat. Consuming olive oil is thought to help people in the Mediterranean regions stay healthy. According to the University of California, Davis, extra virgin olive oil has been found to lower rates of coronary heart disease, obesity, certain cancers and Type 2 diabetes. Consumpton of olive oil can raise HDL cholesterol while lowering LDL cholesterol, which is associated with cardiovascular disease. However, olive oil's rich flavor makes it less than ideal for baking. In its place, use canola oil as a source of healthy fat.